One of the things that have amazed me in providing this website to people is the number of people that come to it from other countries and territories around the world. The hunger for the word of God and to find out what the Bible says on certain subjects both humbles and amazes me. So far, just in the first two weeks of November, we have had people from 142 countries and territories around the world visit this site. This led me to think that an article on how to study the Bible online might be something that would be beneficial and helpful to everyone. I have been studying the Bible online now for over ten years. I used to have a big library with hundreds of books to use in my Bible study. Now all of those books and resources are available online. What cost me thousands of dollars when I first started in ministry in 1988, now they are available for free if you know where to look. It is my hope, especially to our visitors from other countries that do not have the books and resources to do in-depth Bible study, that this article will help. A great website is Bible Gateway. 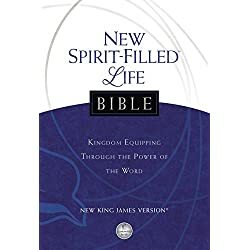 Bible Gateway has Bible reading plans, Audio Bibles, Bible Commentaries from many of the favorite publishers, Bible dictionaries to look up words that you are not familiar with or do not know their meaning, and many other Bible study tools all available online. All of this is provided free of charge to anyone. Other notable free online Bible websites are. Beyond the commentaries and Bible dictionaries available at these sites, some people like to study the original languages that the Bible was written in. These languages are ancient Greek, Hebrew, and Aramaic. You can find the dictionaries and lexicons for these languages at Bible Study Tools. This website has commentaries, lexicons, dictionaries, concordances, encyclopedias, and historical reference books. They have parallel and interlinear Bibles as well. I like this site because it has the Strong’s Exhaustive Concordance of the Bible online. This enables me to look up passages and see the Greek or Hebrew meanings of certain words. It was one of the primary tools I used before discovering how to study the Bible online. Although I don’t personally use Bible study software since I find everything I need online, many people may not have constant access to the internet, so I decided to include some links to Bible study software that can be downloaded to your computer. One of the most popular is called E-Sword. 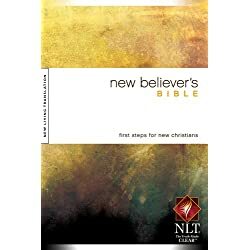 It has modules for a variety of translations and study tools that will help you study the Bible. It has dictionaries, maps, concordances, and a basic Greek and Hebrew lexicon. Finally, if you can pay for a Bible software program, you can find some good ones here at Amazon as well. 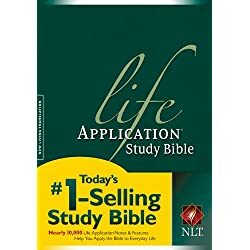 I hope that this list of resources to study the Bible online will help you grow in your faith in Jesus. Excellent Bible study habits take time to develop. Don’t give up right away. Over time you will learn how not only to hear the voice of God while you are studying His word, but you will learn how to feed your spiritual man and come to the point where you can feed others as well. So take every opportunity you can to use these resources to help you study the Bible online.